A recent article about AI-based drug development, indicates the progressive use of A.I. technologies for the drug production industry, mining the huge amount of data collected from the pharmaceutical companies’ data centres. Thanks to Deep Knowledge Ventures which a couple of days ago updated their research data, we took the opportunity to delve into the latest developments of this market. In the combined capitalisation graph the BioPharma Industry seems to run a period of sluggish growth, while the IT & Tech industries are more active. This is important because it means that drug development nowadays derives from quite different sources than in the past. It certainly does not mean that Pharma Corporations stay out of the game as we can see in the graph of leading companies with hard investing sectors in AI for health care and new drugs development. Exscientia is at the forefront of Artificial Intelligence-driven drug discovery and design. 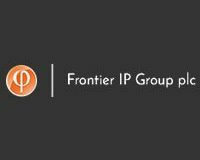 As at 30th June 2016, Frontier IP Group Plc (LON:FIPP) have a 5% holding in Exscientia. Frontier IP Group, through its subsidiaries, engages in assisting universities, research institutions, and companies in the commercialization and exploitation of their intellectual property (IP) in the United Kingdom. Next: Christmas tree syndrome: How to prevent the allergy to festive trees – are you at risk?